The air-launched Pegasus rocket first took to the skies on April 5, 1990, under a joint venture between Orbital Sciences Corporation (now Orbital ATK) and Hercules Aerospace Company. The winged, privately-developed booster was developed in the late ’80s and has gone on to fly 42 times – which include a total of 28 consecutive successful flights since 1997. The launch vehicle has been used to launch NASA’s DART, GALEX, IRIS missions as well as an array of others. 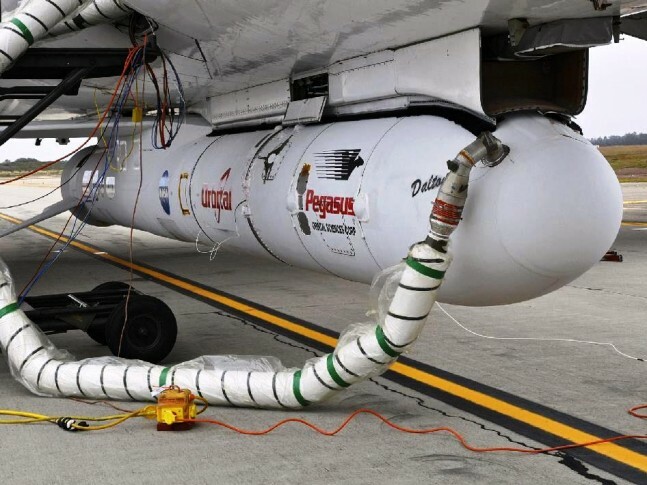 The Pegasus booster measures some 55 feet (16.9 meters) in length (in the case of the Pegasus XL 59 feet) and has a diameter of some 4.2 feet (1.27 meters) in diameter. As noted, the rocket and its payload are “air-launched” with the platform that carries Pegasus aloft being Orbital ATK’s Lockheed L-1011 Stargazer aircraft. At present, the booster has two more launches scheduled, both will be XL versions of the rocket. The first, Cyclone Global Navigation Satellite System (CYGNSS ) mission, currently set to take flight in 2016, and the Ionospheric Connection Explorer (ICON ) mission set to take to the skies in 2017. Both are NASA missions, with the first being launched from Cape Canaveral and the second from Kwajalein Atoll. 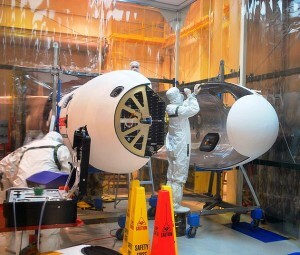 “Pegasus combined major technological advances in propulsion systems, composite structures, digital avionics, and aerodynamic design with a new business model involving commercial development and operation of space launch vehicles,” said Dr. Antonio Elias, Orbital ATK’s Chief Technical Officer and Pegasus’ inventor via a company-issued press release. The Pegasus launch system has been used to launch a wide range of missions from scientific missions, commercial satellites, and even national defense payloads. For the rocket’s 42 operational missions, it was either launched from a U.S. Air Force B-52 or the L-1011. Pegasus does not have a perfect track record, the rocket has encountered several failures during its history, but has still managed to loft more than 80 satellites to orbit during its quarter-century of operation. “The spirit of innovation that Pegasus reflects is alive and well at Orbital ATK today, with several exciting new projects now underway. These include novel space systems, advanced precision weapons and, yes, new launch vehicles made possible by the combined capabilities of ATK and Orbital,” Elias concluded.